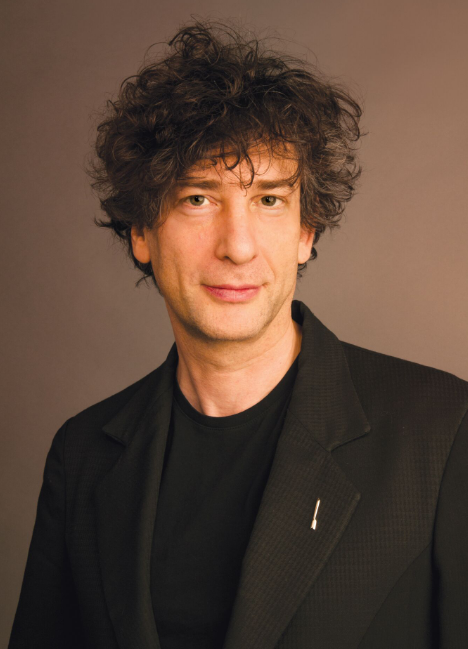 SEATTLE – Neil Gaiman will deliver the 2020 May Hill Arbuthnot Honor Lecture. The announcement was made today by the Association for Library Service to Children (ALSC), a division of the American Library Association (ALA), during the ALA Midwinter Meeting & Exhibits held January 25 - 29, in Seattle, Washington. “The Arbuthnot selection committee considered Gaiman’s body of literary work for children and scholars, as well as his fierce advocacy for libraries, librarians and literacy,” said 2020 Arbuthnot Committee Chair Lisa Von Drasek. Neil Gaiman, born in England, is a United States resident. Gaiman’s work has been honored with many awards internationally, including the Newbery Medal. He is credited with being one of the creators of modern comics, as well as an author whose work crosses genres and reaches audiences of all ages. Gaiman is a prolific creator of works of prose, poetry, film, journalism, comics, song lyrics, and drama and a vocal defender of the freedom to read. The Arbuthnot lecturer, announced annually at the ALA Midwinter Meeting & Exhibits, may be an author, illustrator, editor, critic, librarian, historian or teacher of children’s literature, of any country, who shall prepare a paper considered to be a significant contribution to the field of children’s literature. This paper is delivered as a lecture each April or May, and is subsequently published in Children and Libraries, the journal of ALSC. Once the name is made public, institutions wishing to host the lecture may apply. A library school, department of education in a college or university, or a public library system may be considered. Applications to host the 2020 lecture will be available online from ALSC at www.ala.org/alsc this spring. Members of the 2020 Arbuthnot Honor Lecture Committee are: Chair Lisa Von Drasek, University of Minnesota, Minneapolis; Anna Coats, Livingston (N.J.) Public Library; Dr. Cyndi Giorgis, Arizona State University, Tempe, Ariz.; Dr. Steven Herb, Penn State University, State College, Penn. ; and April Roy, Kansas City Public Library, Kansas City, Mo. ALSC is the world’s largest organization dedicated to the support and enhancement of library service to children. With a network of more than 4,000 children’s and youth librarians, literature experts, publishers and educational faculty, ALSC is committed to creating a better future for children through libraries. To learn more about ALSC, visit their website at http://www.ala.org/alsc. For more information on the Arbuthnot Honor Lecture and other ALA Youth Media Awards, please visit www.ala.org/yma.